We read the other day that locally-based Tazo Teas will be pulling up stakes and leaving Portland for a colder and damper clime. (I know, you thought that not possible. Portland gets such a bad rap.) We’ll still be able to buy their teas of course, but we’ll be sorry to see them go. Having Tazo in our backyard is a bit like a blanket thrown over the back of the couch, or a delicious book on the nightstand – a bit of a comfort – there, should you need it. 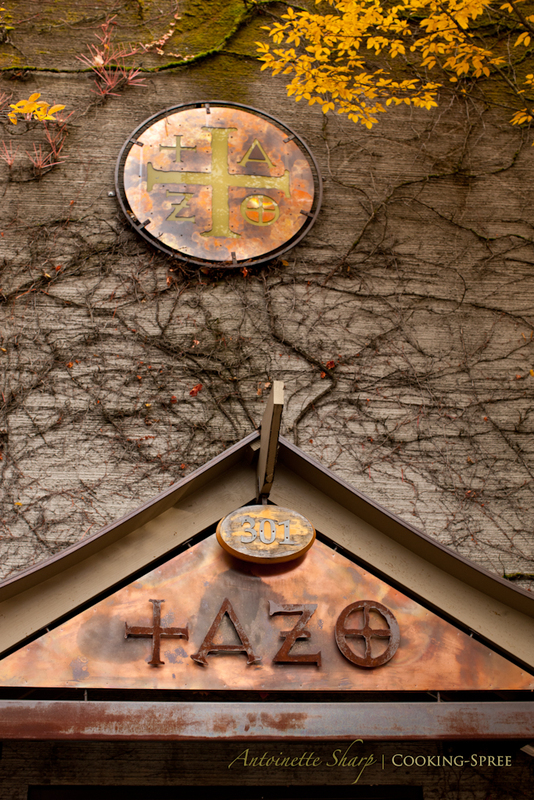 The building that houses Tazo is striking in its simplicity, spare in its details, but rich, warm and inviting. Is there something subliminal in its design that makes one suddenly crave a steaming fragrant cup of tea? Wait here, I’ve got just the ticket! For those who’ve never enjoyed the treat that chai is – imagine steaming milk (cow’s milk, soy, rice, coconut – whatever your preference) – into it fragrant cardamom, allspice, freshly ground pepper and grated fresh ginger root – allow it all to steep so that the milk itself is imbued with all the fragrance and warmth these spices impart – then the tea (black or green or a combination of the two) for the last 3 minutes. Strain and serve. Warm your hands, warm your soul. Using a fine mesh strainer, strain the chai of its solids. Serve steaming. Or chill, and serve over ice. See below for NOTES on Ginger, Sugar and Tea. NOTE on Ginger: I’m pretty wild about ginger. If you are too, try 1 Tablespoon. 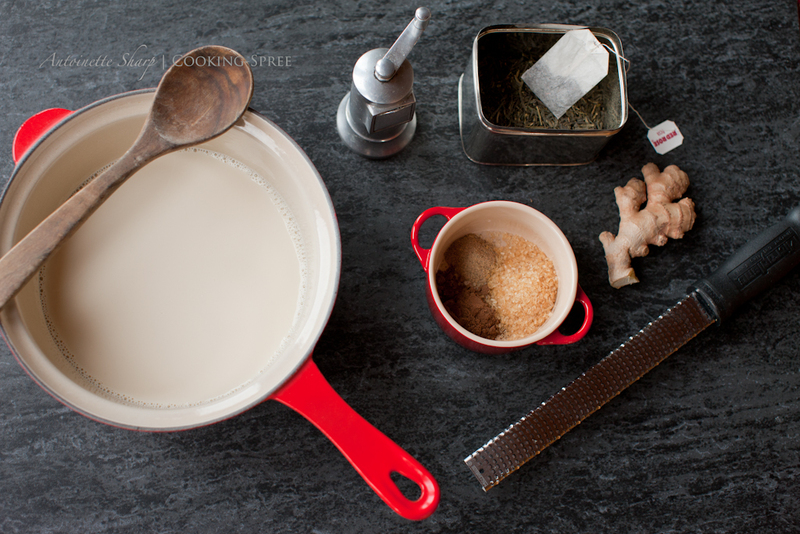 If you’re not wild for the spicy warmth of ginger, go with 2 teaspoons. (You can always dilute the chai with additional water or milk if the flavors are a bit strong for you.) If using organic ginger root, no need to peel first, just grate. NOTE on Sugar: general rule of thumb is about 2 or 3 teaspoons per cup. That’s much sweeter than I like most any drink, but paired with the spicy ginger and pepper, it’s just right. Amit taught me to make chai with turbinado sugar. I think you can use the sweetener of your choice (including honey or maple syrup) but I’d shy away from an artificial sweetener. NOTE on Tea: Amit recommends a British-style tea and says that Lipton, Tetley or Red Rose are good. Or do what he (and now I) do, and add half green tea to the mix. Tazo offers some nice choices of green. I have long wondered how chai is prepared, thank you. As always, the pics were exquisite! Don, you’ve heard the expression, “easy as chai” right? 🙂 So easy. And thanks for the word about the photos! I love their tea. Where are they moving Portland Maine? Oh sorry, you can laugh at me when it’s 100 degrees on May 15! Anyway, this looks wonderful. Your pictures are always so nice to look at. I love the recipe and the mug, where did you get it its beautiful!? The cute mug from Targe’t. Lovely images as usual, I too have enjoyed chai on many occassions when in India a place I spend a lot of time, last year I was told to put a cube or two of chocolate in for flavour and richness – it works! As always, your photos make me gasp. 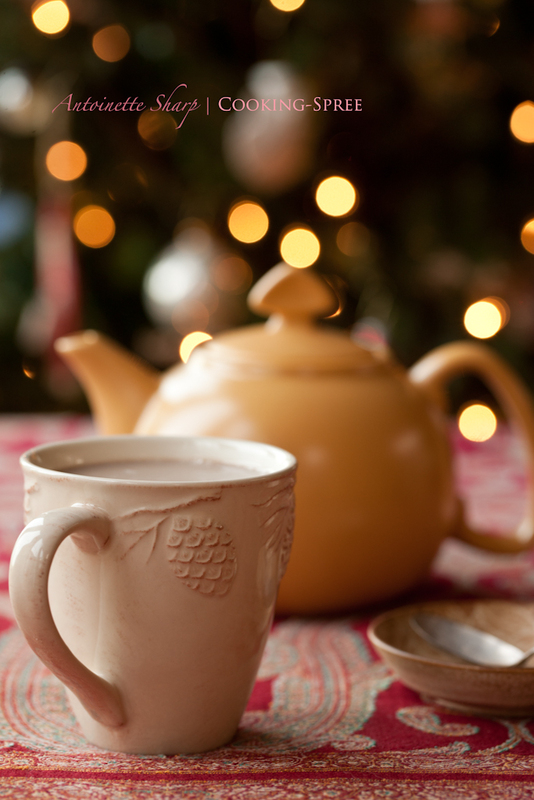 They are the warmest of hugs… and this is the best chai outside of India! I will miss Tazo in Pdx. 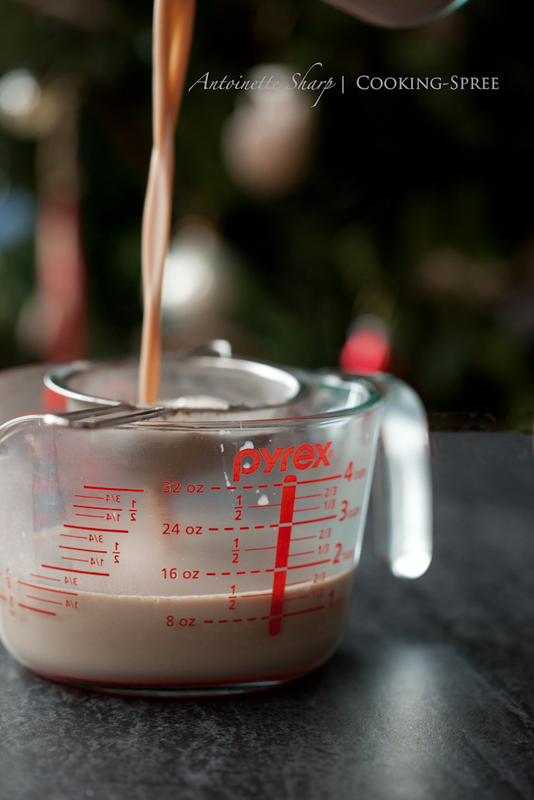 i just made 2 cups…A-mazing! I just LOVE chai tea! I always buy it already prepared, I didn’t though it would be so easy to do it myself! Love your blog, xxoo from France! I just found this in my spam folder! Sorry I missed it. Beautiful photos! An update: I have been grinding cardamom seeds from the pods instead of ground cardamom. I use two pods or so per cup. It is a significant improvement in taste! what? another take on hummus? This site is dedicated to family and friends with whom I've shared the table and all the many blessings there - and to others who have found on the table or in their own kitchens a love language, both savory and sweet. May we all keep putting love on the table!